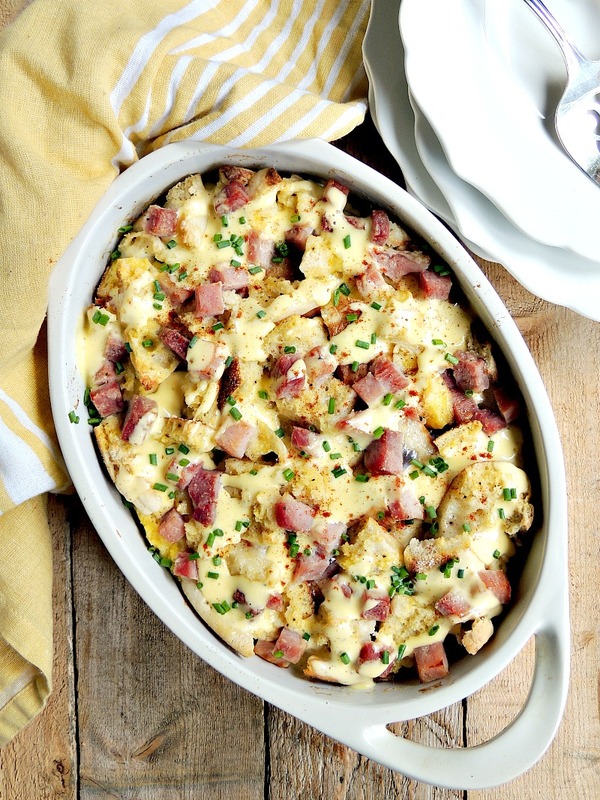 Easy Overnight Eggs Benedict Casserole - Impress your family and friends with this easy Eggs Benedict Breakfast Casserole recipe. 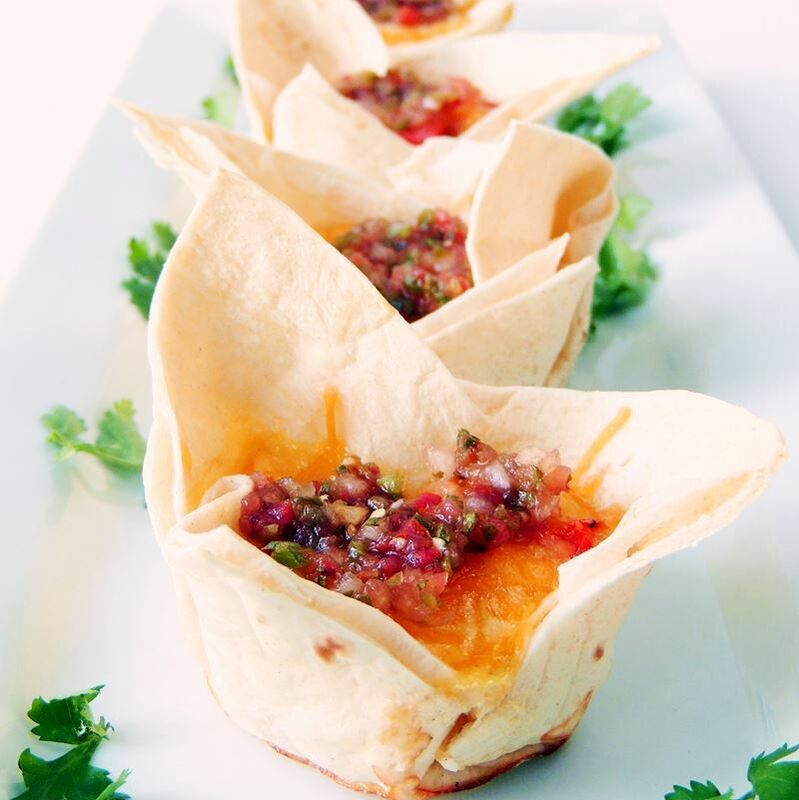 It is perfect for the holidays, Mother's Day, or just a fun family weekend breakfast. Are you ready for Christmas??? I can't believe it is less than 2 weeks away! Every year I tell myself I will be better prepared next year. Oh, I did get my shopping done early-ish. Which means I did not wait until the last week to finish. Aside from some stocking stuffer stuff for the G-baby and the pooches. Have I mentioned that I hate wrapping presents? I don't know when my dislike for gift wrapping began. I used to be that person that loved to wrap each gift different, with handmade little things added to personalize them. I even made my own wrapping paper one year with butcher paper and rubber crafting stamps, coloring them in with pens, OR embellishing them with glitter OR both. Then made my own bows with ribbon and twine. I know, what the heck was I thinking? Hours of work to be torn off and discarded in the blink of an eye. Ya, that didn't happen again! Now you will usually find me in a pile of wrapping paper, tape, name tags and bows, the week before Christmas. Or, as has happened a couple of years, the NIGHT before! But I don't like doing that because I want to be able to look at all of the gifts under the tree for at least a few of days. However, this year I have two issues. #1 the G-baby is old enough to open presents when you leave the room. She has already been asking about presents. That little one is too smart for her own good. #2 there is ZERO room under my tree. When we moved into this place back in May, we knew that it was going to take some renovations to make it the way I errr we want it. Open concept kitchen/dining room/living room kinda thing. The last place we lived had a TON of room, and I bought a LOT of furniture to fill it. Which means we have just enough room to fit our little tree in the corner after I moved the sofa table out of the way. Don't get me wrong, I love our place, and I love our pretty little tree. I just have zero clue where to put everyone's gifts. And I didn't go crazy this year. The kids each got a couple of small things, the G-baby has 3 medium sized gifts, and the big baby umm I mean Kevin has a few medium sized gifts as well. That doesn't seem like much right? Then I counted them up. 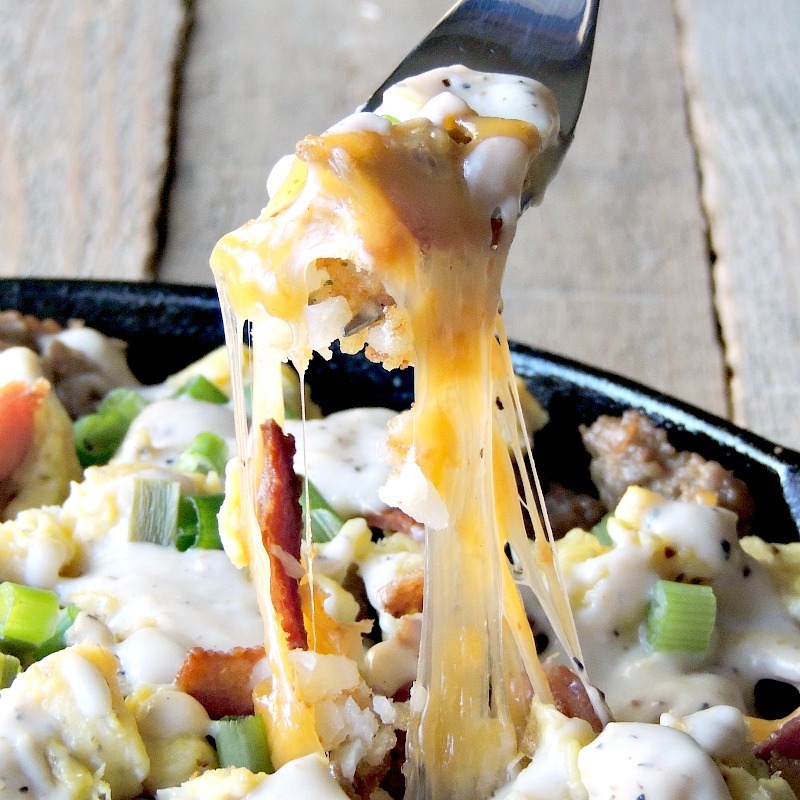 OK, let me get my mind back where I know what I am doing, and that would be this amazing breakfast casserole. I have been wanting to make this for a few years now. As you can see by the amount of them on my blog. There is my Strawberries and Cream Cheese French Toast Casserole, Make Ahead Waffle Casserole, Chicken and Waffles Casserole, and Make Ahead Chipotle Breakfast Casserole just to name a few. I am kind of obsessed. But Eggs Benedict is my FAVE brunch dish and I have always wanted to make them for a holiday breakfast. So a casserole is the BEST way to have it all AND have it warm. Oh I know, there isn't that satisfaction of cutting into a perfectly poached egg and have that lovely yolk spill out across the ham and muffin is all of its delicious glory. Or am I the only one that gets excited about that? 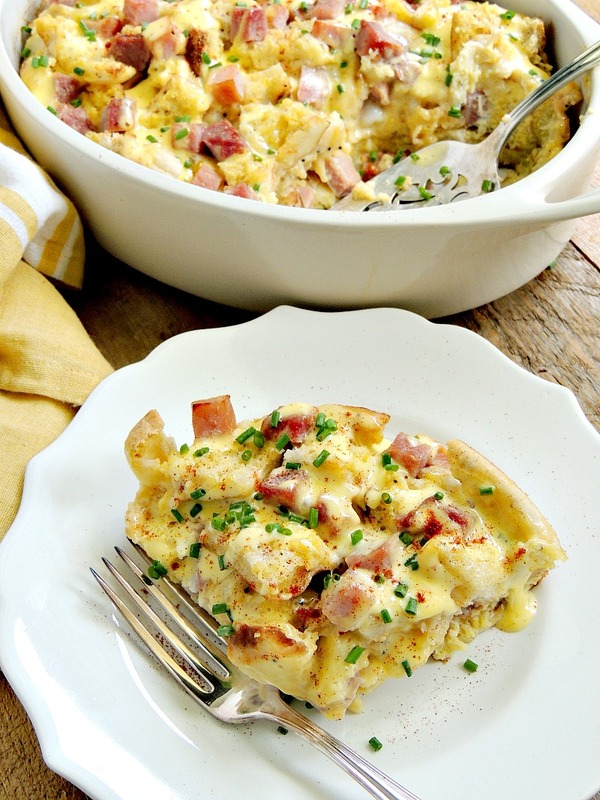 Impress your family and friends with this easy Eggs Benedict Breakfast Casserole. It is perfect for the holidays, Mother's Day, or just an everyday weekend breakfast. Grease a 2-quart baking dish with butter, spread half of the English muffin cubes in the bottom of the dish. Spread the half of the ham over the muffin cubes. Repeat with remaining muffin cubes and ham. 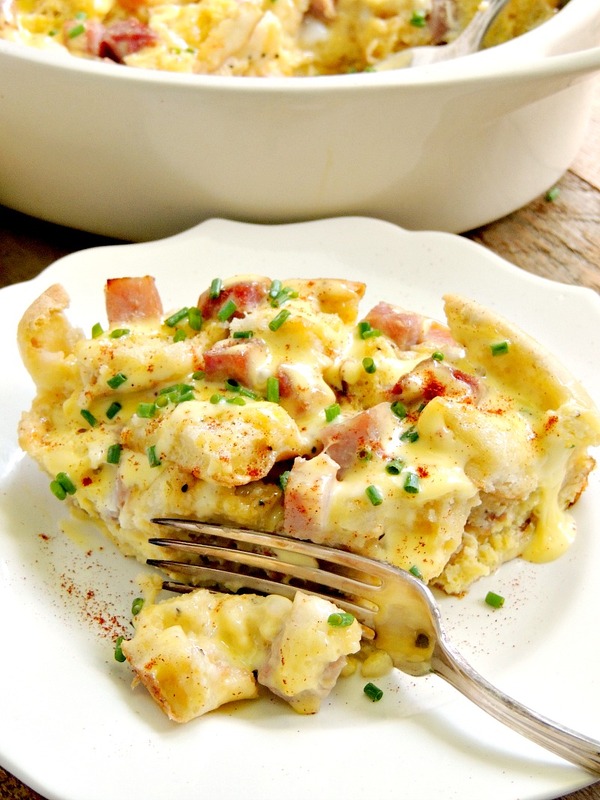 In a large bowl, whisk together the eggs, half and half, onion powder, dry mustard, salt, and pepper. Pour the egg mixture evenly over the ham and muffin cubes. Cover and refrigerate overnight. When you are ready to make the casserole, preheat the oven to 350 degrees F.
Take the casserole out of the fridge and allow it to warm up while the oven is preheating. Remove from the oven and cover with foil while you make the hollandaise sauce. 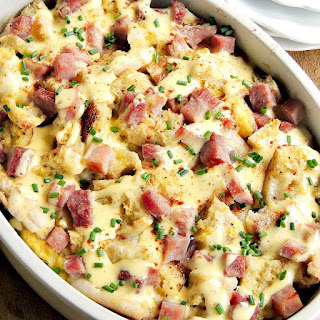 Drizzle with the hollandaise sauce and sprinkle with the paprika. In a blender, combine the egg yolks, salt, pepper and 1 tablespoon of the lemon juice (you can add more when you taste at the end). Set aside. In a small saucepan over medium-high, add the butter and heat until foaming. Blend the egg yolk mixture at top speed for 2 seconds then, with the blender running, remove the cover and pour in the hot butter in a thin stream. By the time two-thirds of the butter has been added, the sauce will be a thick cream. Continue pouring, but don't pour in the milky residue at the bottom of the pan. Cover the casserole with foil if the top is getting too brown during the cooking time. Oh for the love of cupcakes! Eggs benedict is one of my very favorite brunch foods! Never once did I think about making it in casserole form! Has to be way easier. Going on the list of Christmas foods to serve at my next breakfast party! Oh YES soooo much easier :) but just as tasty!! That looks really good! I'm always looking for new breakfast ideas. I get tired of eating the same thing. I will definitely try this. THAT is what I am talking about for Christmas Morning! Right? I totally had Christmas and Mother's Day in mind for this! Wow that looks super delicious! This would be great for Christmas morning breakfast! Great job! This would be great for when I have lots of people to make breakfast for. My husband would love the ham in it. 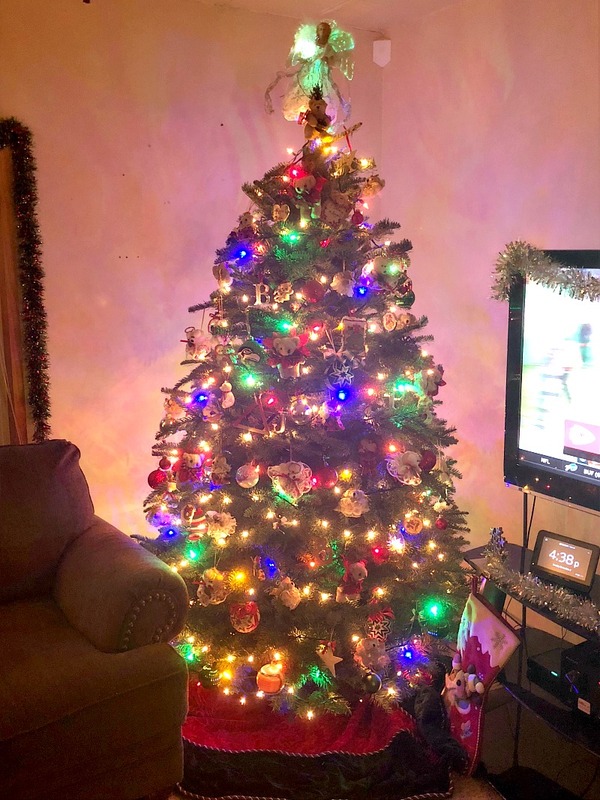 16 Christmas tree! Wow! What a feast! We have very small family and our gifts are much less than 16! This is great brunch recipe! This is such a mouth watering meal. It will sure to keep you full. You made the dish so simple to make. I've never created a casserole before. Never thought to do so. Now I know. 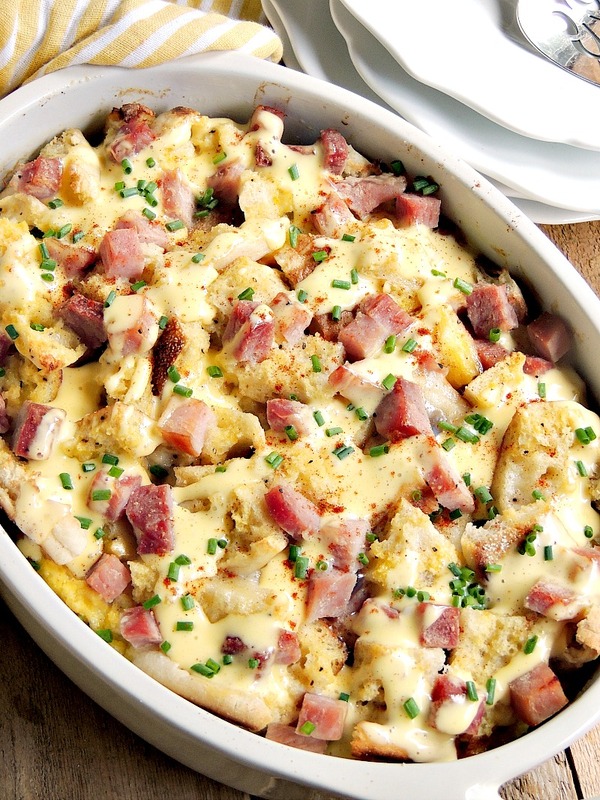 I have made an Eggs Benedict Casserole before and it looked nothing like this! I would love to make this on Christmas morning for my family! I want our teen to make this for us for Christmas breakfast/brunch! I am definitely sending this recipe to hear to try! Thanks for sharing!!! Yes!! I should have my daughter make it too! This looks completely delicious. I looks forward to making and trying this, yummy. OMG Eggs Benedict is one of my favorite dishes! I LOVE LOVE LOVE the idea of a casserole. 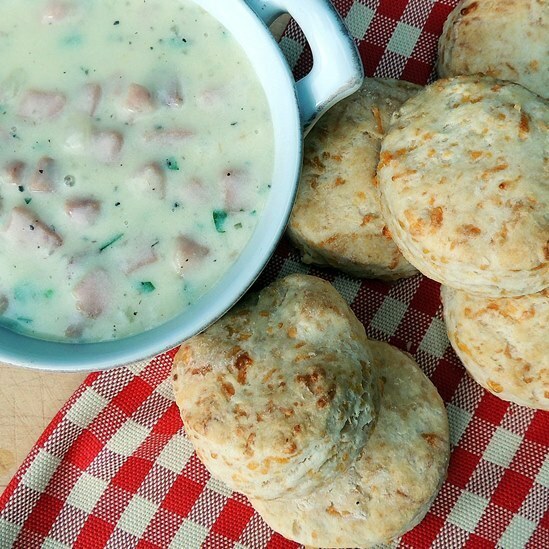 These look so good – cannot wait to try this recipe!